Paul Simon in Montreal or Quebec City? Inform me about the next events for Paul Simon. Enroll yourself to our priority waiting list for Paul Simon to be alerted when new tickets are available. Filling this form doesn't engage you to any purchase. Paul Simon is coming back to Montreal June 13th, 2018, at the Bell Centre. This will be part of his farewell tour, entitled Homeward Bound. 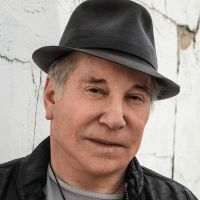 After an illustrious career spanning over 50 years, which saw Paul Simon win over 12 Grammy Awards, as well as the Grammy Lifetime Achievement Award in 2003, Paul Simon is calling it a career. Don't miss your ultimate chance to see Paul Simon live, one last time, in Montreal this summer ! This promises to be quite the touring experience for the fans !